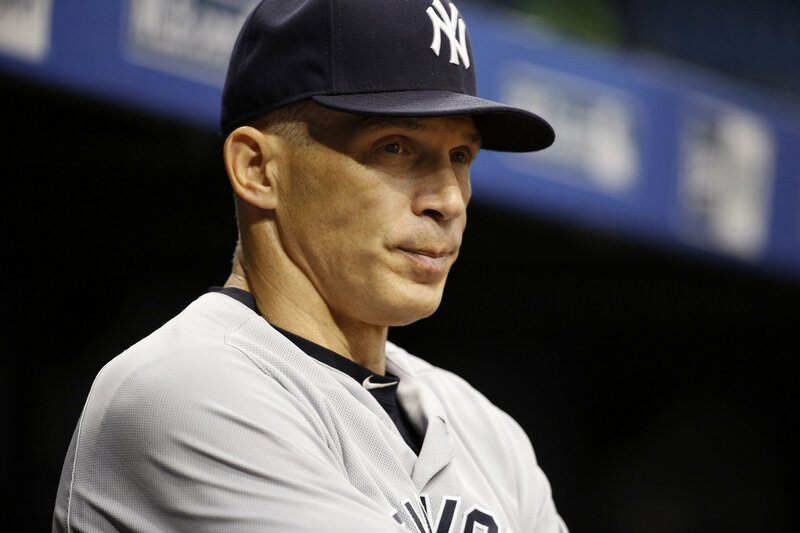 Home » Baseball » Joe Girardi out as Yankee Skipper!! Joe Girardi out as Yankee Skipper!! The rumors have come true and Joe Girardi is no longer the manager of the Yankees. It is not known which side decided to part ways because Girardi was a free agent and it could have been his decision not to come back. I do not agree with this decision at all and I have no idea, who the Yankees are going to go after. In his ten years with the Yankees, Girardi won one World Series and never underachieved despite having really bad rosters during times of his tenure. He will be remember fondly by me, but I am pretty sure most Yankees fan are celebrating in the streets right now. It will be interesting to see who the Yankees go after for the managerial vacancy, but I can almost guarantee that is not going to be a household name. One of the big criticisms of Girardi was that he was too much by the book and had no real gut decisions, well that is the organizational plan of the Yankees and the next manager is going to do exactly that. The Yankees made a splash by not bringing back Girardi, but are they really going to be better off without him? I do not even know who their possible targets are, but maybe it is Kevin Long, Alex Rodriguez, or Robin Ventura. Neither of the three coaches are as good as Girardi and probably not going to get the job if we are being honest. Kevin Long was part of the Girardi coaching staff a couple of years ago as the hitting coach before going over to the Mets with the same position. There are reports that he is upset that he did not get the Mets manager job, so maybe the Yankees will bring him back. Alex Rodriguez is obviously a household name and the Yankee management has said that they want someone that has the feel of the clubhouse, what better person that the guy who was a player for the Yanks in 2016. Hiring A-Rod would be a splash hire, I do not think the Yankees want to make that splash just yet. Robin Ventura has played for the Yankees before, but has struggled in his previous managerial stint with the Yankees. The Yankees also announced that they have brought back Brian Cashman, while not bringing back Girardi, so they at least made one good decision today. Cashman is one of the best general managers in baseball and he would have been picked up within five minutes if he was ever let go by the Yankees. Cashman will be able to bring in a manager that is all on sabremetrics and goes by the book at all times, which is going to piss off all Yankee fans. I do not think Girardi was surprised by this decision, in fact it might have been his decision to not come back. There is a lot of pressure to win in New York and despite constantly having a winning team, he was criticized for not winning more than one World Series. It will be interesting to see what his next move is, whether he decides to manage again or go into retirement for a couple of seasons. If he chooses to manage, than I think every time will jump on hiring him, because he is really good at his job. The Nationals currently have a vacancy at manager and they would be idiots if they do not bring in Girardi for an interview. It would not shock me one bit if he is managing another team next season. If he does choose to go away from managing for a couple of years, then he can go back into broadcasting or spend some time with his family until he has a desirable job offer, because believe me he is going to get a lot of job offers. I want to say Thank You to Girardi for his time with the Yankees. The fans that have criticized him are going to realize what they had once he is gone.